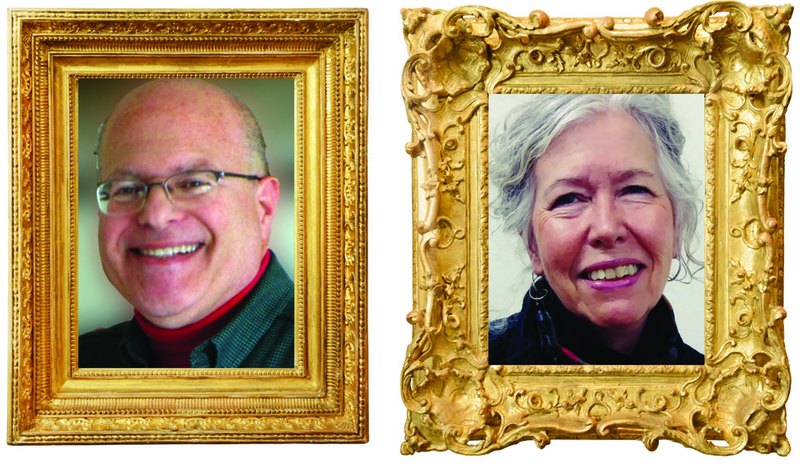 Featured Community Artists for March and April – Marjorie Ward and Vince Forte, Jr.
Marjorie Ward lives in Latham and has exhibited and sold her work throughout the Tri-city area. She is a member of The Schenectady Art Society, The Colonie Art League, and The Firehouse Artists. Her work encompasses watercolor, mixed media, and the use of alcohol-based inks. Recently, her emphasis has been on the creation of assemblage, a form of sculpture comprised of “found” objects arranged in such a way that they create a piece. Vince Forte, Jr. prefers painting in oils in a representative style. While realistic, his style is more painterly than photo realism but tighter than most impressionism. He depicts a diverse range of subjects, but typically focuses on the beauty of nature, history, and local contributions of engineering science. His paintings have been purchased for private collections in seven states. One is owned and displayed in a local Catholic church. The impressive work of both artists is on exhibit at The Beltrone Living Center. The event is free and open to the public. All are welcome to view the exhibit during normal business hours. For additional information, please call Nicole at 518-459-2857 ext. 303.